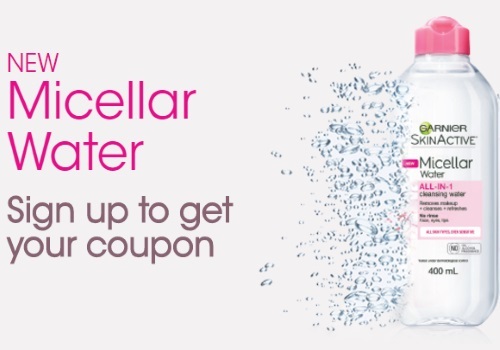 Garnier has a new coupon for their Micellar Water! I was sent this product from Chickadvisor to try out for review and it's amazing! Claim your coupon at the link below. This is a $2 off print coupon for this product. You can also get a coupon for Garnier SkinActive Clearly Brighter Lotion here.